From the Spring/Summer 2009 Suno New York collection. 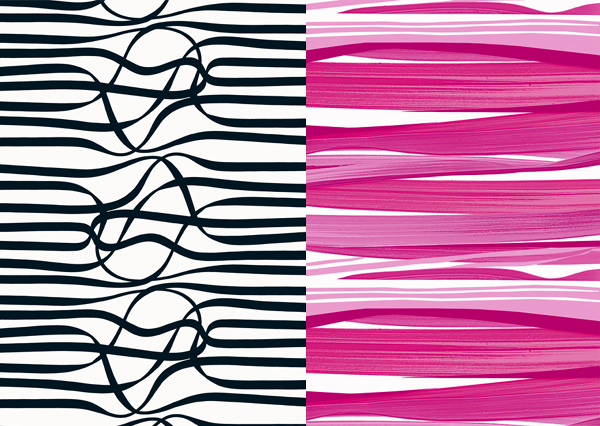 LOVED these graphic large scale patterns from the Spring 2008 line from Marimekko. Seriously. Can’t you just see a classic Marimekko shift dress out of that pink fabric? Please, someone? Make one? Pelimanni, $42/yard. 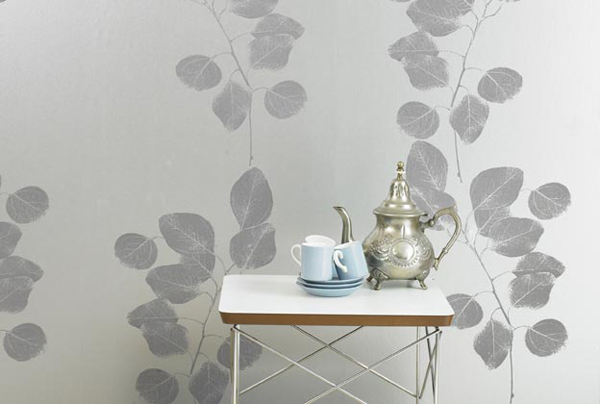 Matkalla Maalle, $42/yard. I got a lovely email from Franziska Henning regarding her line of hand-knotted rugs called Reuber-Henning. The rugs are made in Nepal and are designed by Franziska, a trained painter who employs a very illustrative style to the designs which are inspired in part by 19th-century German cutouts and Japanese woodblock prints. 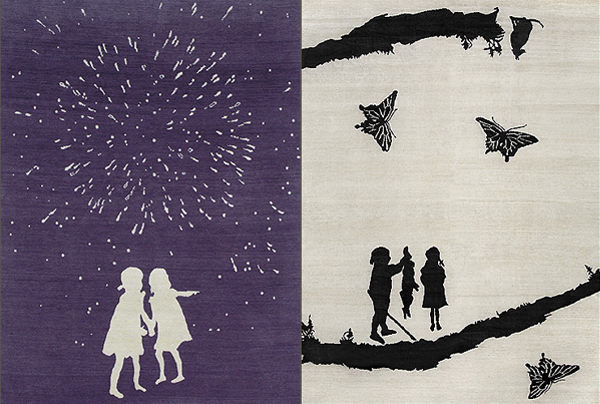 I especially loved the Story line of rugs featuring silhouettes of children playing. The Scenery line is so delicately illustrated. Very gorgeous and graphic work here. From the Story line: Sterntaler and Fairy Tale. A mini-issue is now up at Nirali Magazine featuring a few home-related South Asian home designers. Among them, Ankasa was one of my favorites. Founded by husband and wife team, Sachin and Babi Ahluwalia, Ankasa features contemporary dÃ©cor using the traditional weaving and embroidery techniques of India. Love the textures of these accessories. Last month must’ve been the craziest month ever. Crazy at work and crazy at home… culminating in the mother of all moves for my sister and I… we moved to Astoria in Queens! My sister and I are now in the midst of decorating our new apartment. We love the area to death and our apartment most of all. Lately I’ve been toying with the idea of framing large scale fabrics behind glass in big white frames. I was so happy to see the new stuff from my favorite textile company, Marimekko. 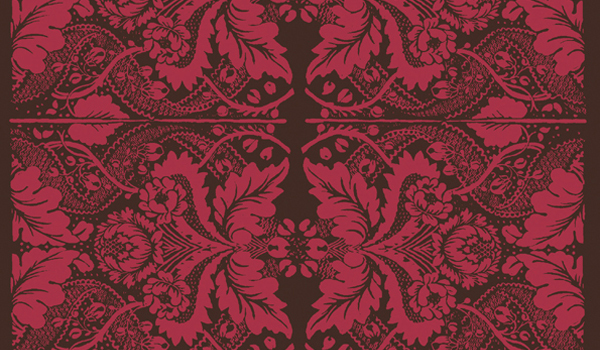 I love the combination of berry pink/red with chocolate in the above Fandango pattern. Looks so delicious.